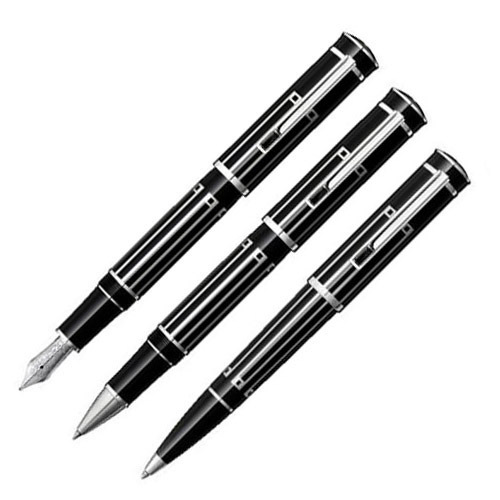 This pen is slightly reminiscent of the Art Deco design of the F. Scott Fitzgerald. The conservative black and platinum color scheme insure its wide appeal. This release is being produced in much more limited numbers than previous releases. It could be a response to the economy, but they have raised their prices signficantly so Montblanc will receive revenue similar to previous releases produced in higher quantities but at lower prices. And finally, they’ve included a rollerball in very limited numbers. They haven’t done this since way back in 1997 with the Dostoevksy!